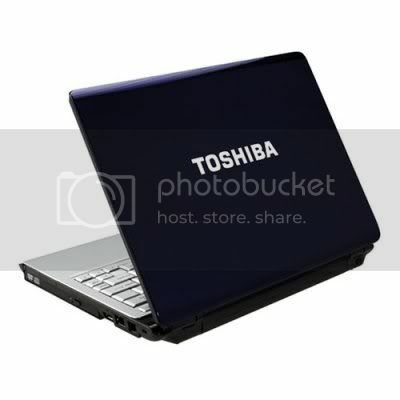 Toshiba Satellite U305-S7449 notebook PC packs in an extraordinary amount of power and productivity into its elegant, compact package. The Intel Pentium dual-core T2130 processor is built with the Mobile Intel 945PM Express chipset, and it has a 1.86 GHz processor speed, fast 533 MHz front-side bus (FSB), and 1 MB L2 cache, which provides an optimized, multithreaded architecture for improved gaming and multitasking performance and a more efficient power consumption.The 13.3-inch widescreen display offers TruBrite technology for optimal image clarity and a 1280 x 800 resolution for extra desktop working space and a widescreen aspect ratio for watching letterboxed DVDs. 160 GB 5400 RPM serial ATA hard drive offers enough to room to hold a digital audio library of over 26,000 songs and still have room left over for movies, games, and a large collection of software and higher speed transfer of data. 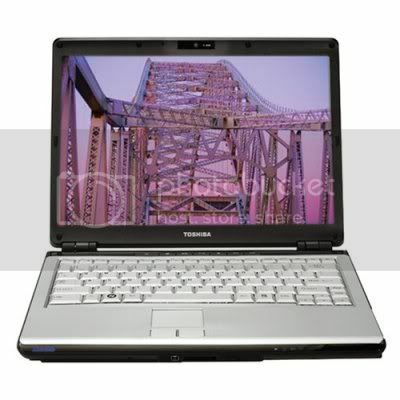 Other features include a 2 GB of installed RAM with two DIMM slots have a maximum 4 GB RAM capacity, 802.11b/g wireless connectivity, Intel GMA (Graphics Media Accelerator) X3100 with up to 251 MB of shared video RAM and provides Windows Vista Aero interface support and enhanced 3-D graphics performance.